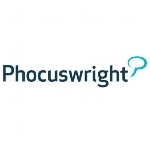 Phocuswright is partnering with Mercy Corps to support relief efforts in Puerto Rico. Hurricane Maria has devastated Puerto Rico and pushed the island’s 3.4 million residents into a desperate humanitarian crisis. Nearly every home is without power, and clean water, food, medicine and fuel are all in short supply. From earthquakes and tsunamis to hurricanes, Mercy Corps has responded to nearly every major natural disaster in the last twenty years. Our seasoned emergency response team on the ground is helping meet the urgent needs of vulnerable families. Working with local partners, we're providing cash cards that families can use for food and other essential supplies. And we're also helping them recover and rebuild. Together, we can help people in Puerto Rico who are in desperate need. Give now to our Puerto Rico Response Fund to send emergency relief to the island’s most vulnerable families. Make a donation by clicking "Give Now" or contact workplacegiving@mercycorps.org so your company can provide the lifesaving relief Puerto Rico needs.